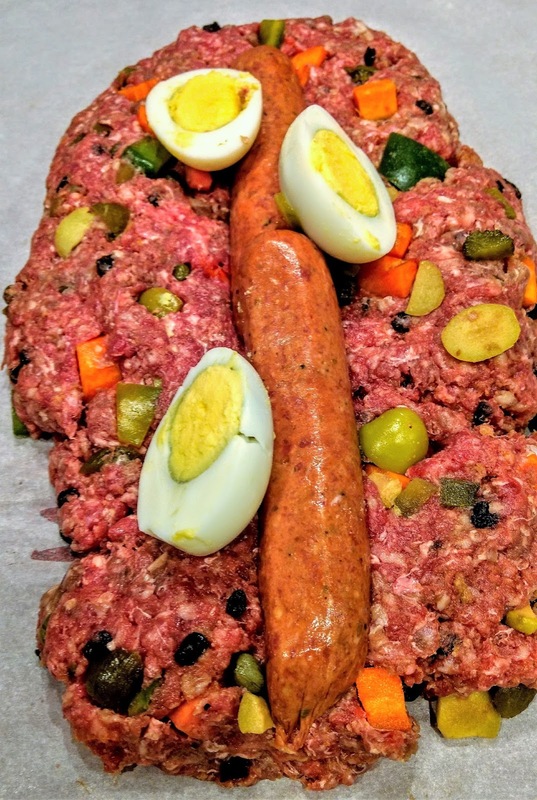 Embuitdo, a (pork) meatloaf made throughout the Philippines can be made in a kosher-friendly version. 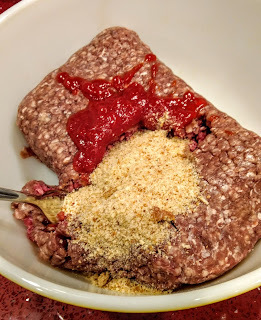 I made the pictured loaf with beef and contains no grated cheese (Edam or Cheddar is typically used in the traditional version). 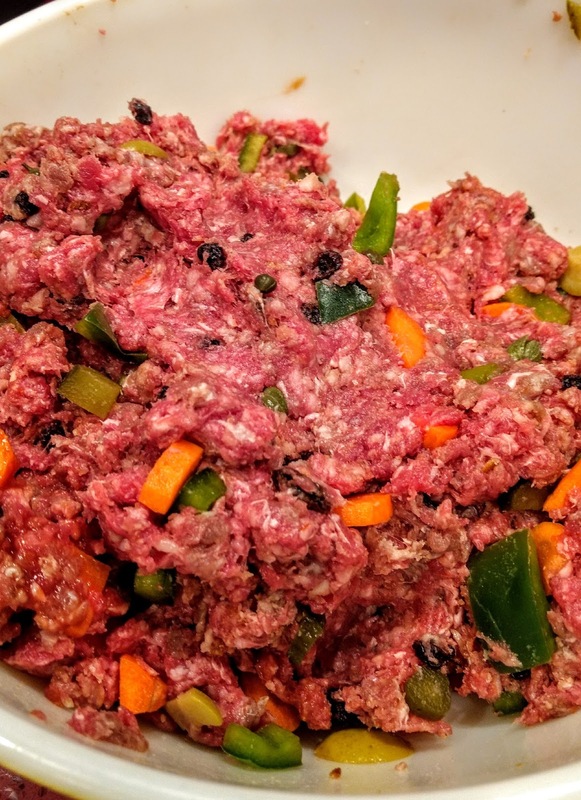 The meat mixture is filled with a variable number of filling ingredients, although the ingredients always contain an olive-raisin-sweet pickle (or pickle relish) mixture. Ground beef, veal, chicken or turkey works well. At one time ovens were rare in the Philippines and were found only in the kitchen of the wealthy; therefore, traditionally the meat mixture is wrapped in aluminum foil and steamed, I would imagine that before foil the mixture may have been wrapped in banana leaves. My version is baked in a water bath and completely cooled prior to opening the foil and slicing. Embutido is also a dry cured sausage from the Iberian peninsula. 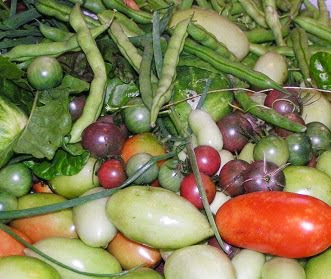 During the three centuries that Spain colonized the Philippine Archipelago Filipino cooks created several Spanish inspired recipes indigenous to the Philippines. The Spanish inspired combination of olives, raisins and tomatoes in Filipino Embutido is also found in recipes from Cuba, Portugal, and Mexico- all cuisines influenced during their individual periods of Spanish colonization. 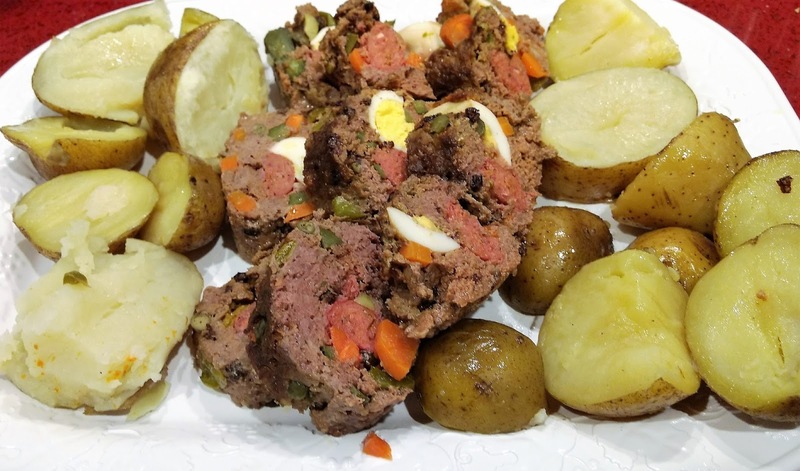 Embudito is no more complicated to make than American-style meatloaf. 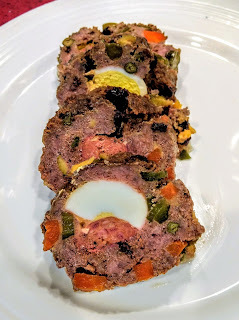 Ground meat is mixed with a number of ingredients and "rolled" around a center filling of sausage and sliced hard boiled egg. The meat is formed into a roll, placed on a sheet of aluminum foil , which is rolled and twisted around the meat roll. 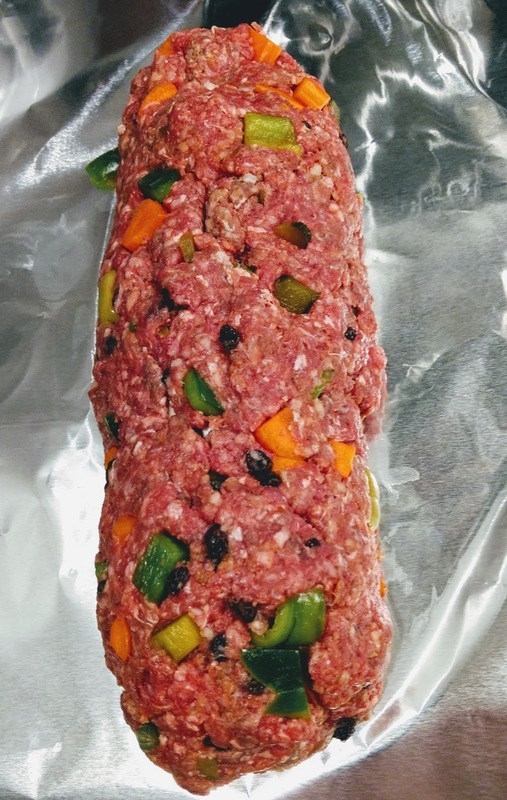 The wrapped meat roll is steamed/baked for an hour and cooled completely before slicing. 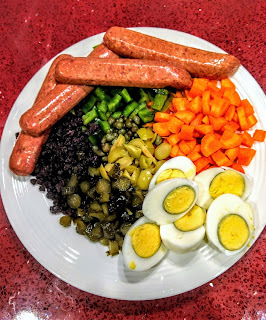 Serve with boiled potatoes or rice. 2. Mix the meat with ketchup (or tomato paste), pepper and bread crumbs. 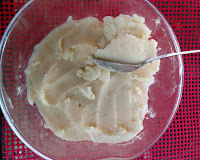 Filipinos traditionally will add a raw egg into this mixture; I don't find it makes a difference and leave it out. 3. Prepare the filling ingredients. 4. 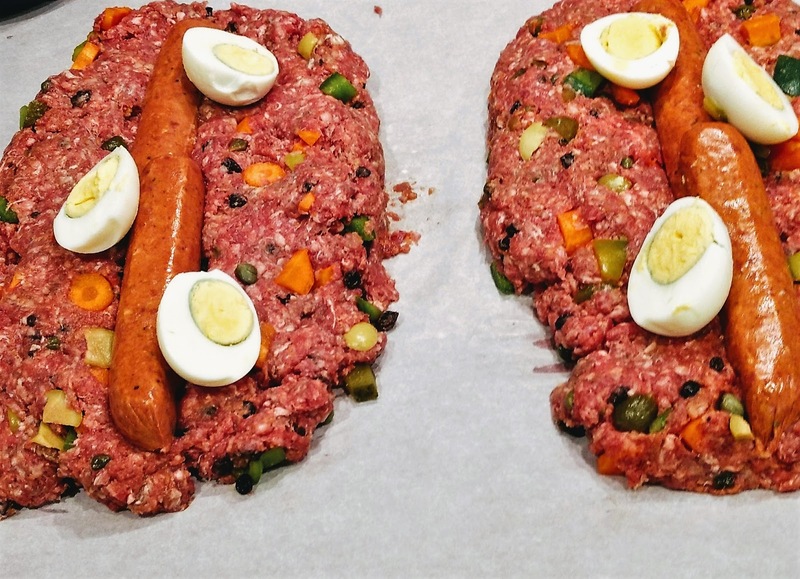 Mix all filling ingredients into the meat EXCEPT the sausage and hard boiled eggs. 5. Divide meat in half and form flattened rectangles of uncooked meat on a sheet of waxed paper. 6. Place 2 sausage slices along the middle length of the rectangle of meat. 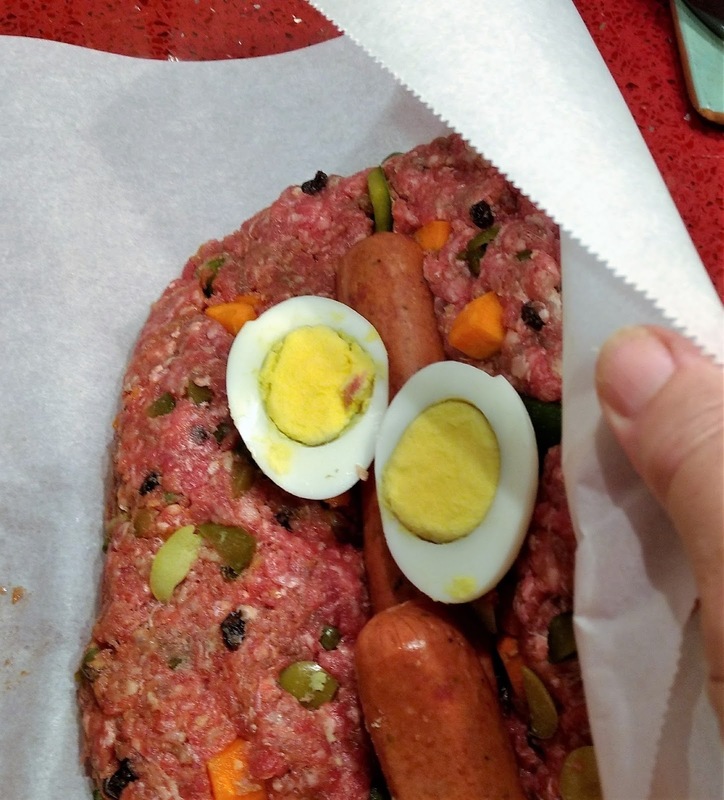 Lay 1/2 of the egg slices, yolk side up alongside the sausage slices. 7. 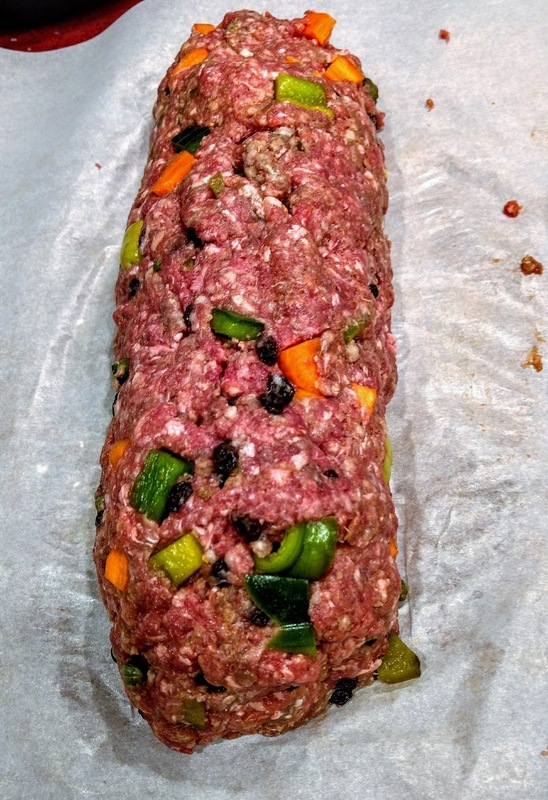 Fold the waxed paper over and roll the meat over the sausage filling. Close the seam and roll the meat back and forth to seal the seam. 8. 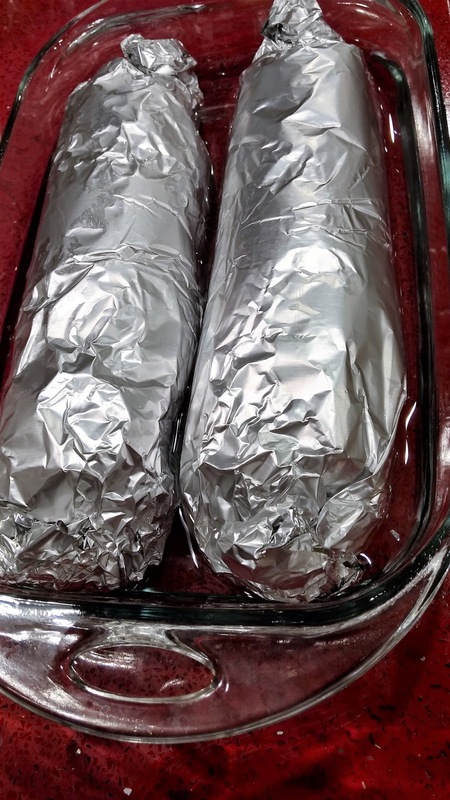 Move onto a piece of aluminum foil and roll the foil around the meat, twisting the ends, forming a tightly closed log. Repeat with remaining meat. Pour off the water from the pan. 10. Slice the meat. If you are planning to rewarm, leave the meat in the foil, loosely re-wrap and warm in the oven. Alternately, Embudito is often served at room temperature. 11. Serve with cooked potatoes, rice or quinoa.